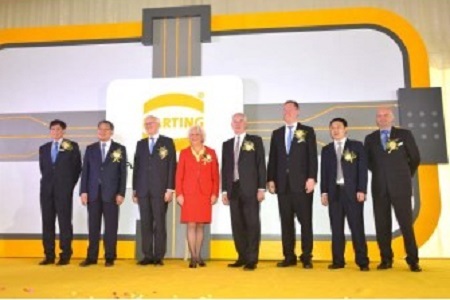 Harting China and Harting Hong Kong celebrated their 15th and 25th anniversary respectively in November, 2013. Harting has mainly focused on the factory automation, transportation, renewable energy, power transmission and machinery markets. As said, it is the first global connector manufacturer in the Chinese market being awarded the China Compulsory Certification (CCC). At present, Harting is operating sales network in Hong Kong, Zhuhai, Shenzhen, Guangzhou, Xiamen, Changsha, Wuhan, Hangzhou, Shanghai, Suzhou, Nanjing, Chengdu, Xian, Zhengzhou, Qingdao, Tianjin, Beijing, Shenyang, Changchun and Taiwan. The company also operates a US$16 million manufacturing site is located in Zhuhai, China.